In elementary school parents are typically fairly involved in their child’s education. However, as adolescents move into middle school that involvement greatly decreases. According to the National Center for Education Statistics an analysis of 16,000 students showed that youth whose parents were highly involved in their educational process were less likely to repeat a grade or get expelled and were more likely to receive A’s (National Center for Education Statistics, 1997). 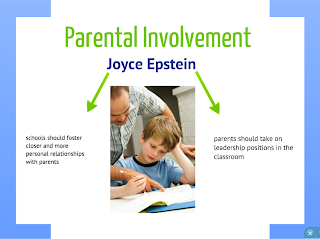 Joyce Epstein, a researcher in the field, has offered several recommendations that she believes will increase parental involvement in adolescents’ schooling. One recommendation she made states that schools have an obligation to communicate with families about school programs and the individual progress of their adolescents. This recommendation focuses on the idea that schools should foster closer and more personal relationships with parents. It is the school’s duty to keep parents informed and up to date on what is happening in their students’ classrooms. 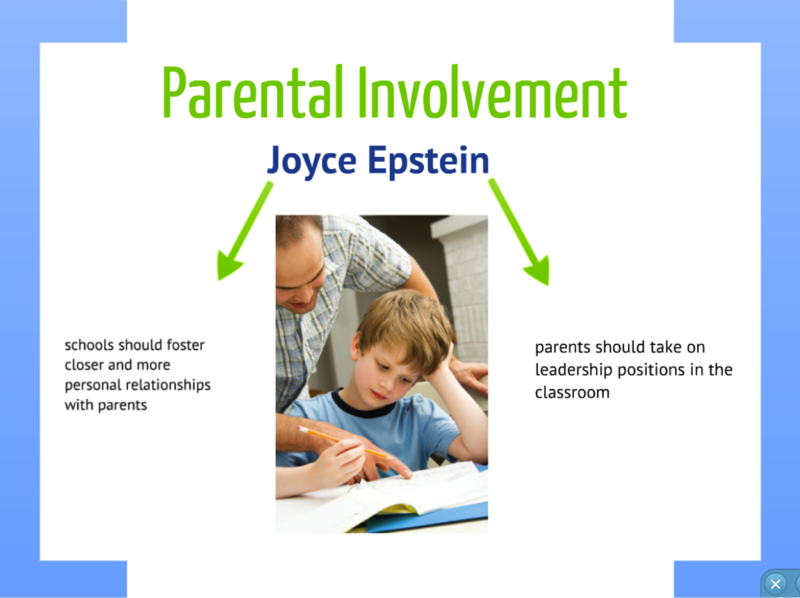 Another Recommendation Epstein makes is that the parent involvement level at schools must be increased. This recommendation proposes that parents take on leadership positions in the classroom such as tutoring or chaperoning during different events. Both of these suggestions have the ability to positively affect adolescent’s performance in school. When parents are involved, their youth tend to excel in the classroom.